Drummer Ron Otis is one of those sidemen, which stay in the background. He performed and recorded with Bob James (Urban Flamingo), Lin Roundtree (Sumthin’ Good), Earl Klugh ( Spice of Life, Journey), Al Turner (Movin’), Brian O’Neal (Daisy), Justin Young (On The Way), Dave McMurray (My Brother and Me, Soul Searching, Nu Life Stories), Alexander Zonjic (Reach For The Sky) and a lot more. When you look for Ron Otis’ debut album, the search is over. 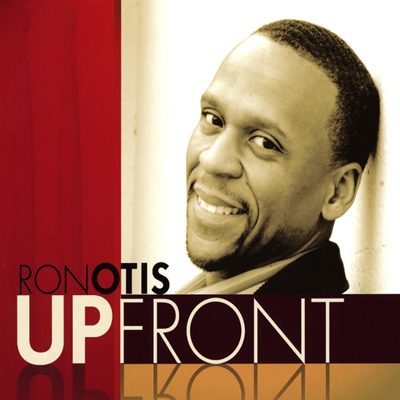 Upfront is released at CDBaby. Ron is supported by musicians he regularly performs with like Bob James, Earl Klugh, Al Turner and a lot more. Don’t miss this album. Dominc Amato was infected by the saxophone virus listening to his father sax play. His mother and brother are musicians too, so it’s no wonder that he began experimenting musical instruments in early years. Turning Point is an instrumental jazz group based in Phoenix Arizona and founded by the guitar and bass duo of Thano and Demitri Sahnas. In 2004 Dominic joined this group and together they recorded the album Matador in 2005. Dominic still performs with Turning Point and also the group Sacred Soul, furthermore with talented vocalists as Khani Cole. Dominic’s debut album is entitled Fresh From The Groove (2009) and released by nuGroove Records. Keyboardist/producer Michael Broening, who recently produced Marion Meadow’s album Secrets (2009), is also producer, programmer and keyboardist on Dominic’s album. Further musicians joining this project are Mel Brown (bass), Freddie Fox, Paul David, Thano Sahnas (guitars), John Herrera (percussion) and some more. Keyboardist and guitarist Conor Miller, saxophonist and flute player Dan Leonardo and bassist and guitarist Sam Hobbs are Avenue H. Visiting their new-styled website one immediately recognizes that these musicians understand themselves as musical identity, as musical package for booking. On the other hand they would hide their light under the bushel, if we would reduce this group just to musical part of a wedding entertainment. Indeed with their debut album Off The Floor Avenue H showcase their quality as top notch band. 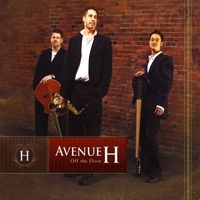 It’s time for Avenue H to step into the limelight. Influenced by Marcus Miller, David Sanborn, Bela Fleck the group presents on their album finest smooth jazz. The album starts with Straight Up The Middle, a device all band members perfectly take to heart. Outstanding bass in the style of Marcus Miller and a dynamic sax reminding at Boney James is the significant sound of this groovy tune. With a length of more than 6 minutes the song gives the group enough space for improvisations. Some musicians are real globetrotters. Take for example guitarist Anthony James Baker. Born in UK he played first in pubs and clubs in Kent. Later he performed in London with Tears For Fears and Big Country. The next decade saw him in L.A. studying with Norman Brown, Scott Henderson, Frank Gambale and attending the Grove School of Music. After moving to Denver, Colorado he released his self-titled debut album featuring sax sensation Nelson Rangell (2001). His sophomore album AJBBand Live! was recorded at various Colorado locations in the Summer of 2003. 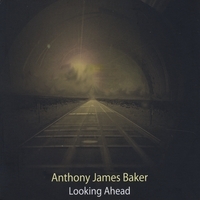 Returned to England Anthony James pleases his fans with the new EP Looking Ahead (2009). What makes this EP so remarkable? Is it the perfect arrangement, the captivating melodies or the convincing performance of the committed musicians? Just listen to She’s So Precious and you get the answer. It’s all above and the impetus to fill the audience with enthusiasm. Bobby Wells wrote the tune and had a principal part of the recording. Bobby fostered high acclaims with his album Bayside (2005). After listening to David Boswell‘s album I Like That one discovers his affinity to Pat Matheny’s music. No wonder, David was influenced by this great musician. After a Pat Metheny concert he decided to start a career as guitarist, attended the Grove School of Music in L.A. and played with various rock bands. He also studied under Pat Metheny, Jack DeJohnette, John Abercrombie and Dave Holland keeping the music of John Coltrane, Keith Jarett and Miles Davis in sight. His first solo album was Hold Tight To Your Dreams (2004), followed by Bridge Of Art (2006) and in 2009 I Like That. This new album features Jimmy Haslip (bass), Nelson Rangell (saxophone), MB Gordy III and his brother John Boswell on the piano. 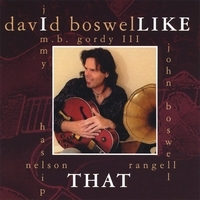 David Boswell’s style on I Like That is innovative and intensive. He directly captures the spirit of Pat Metheny’s music and plays with the sultry and high appealing theme. Yes David, we recognize you. Jimmy Haslip adds his brilliant bass line. German born trumpet player Till Broenner started his solo career in an age of 20 years with the album Generations of Jazz featuring Ray Brown, Jeff Hamilton, Frank Chastenier and Gregoire Peters (1993). Further albums are My secret Love (1995), German Songs (1996), Midnight (1997), Love (1998), Chattin with Chet (2000), Jazz Seen (2001), Blue Eyed Soul (2002), That Summer (2004), Höllentour (2004), Oceana (2006), The Christmas Album (2007), and Rio (2008). As a young musician Till succeeded in enlightening such musicians as Michael Brecker, Dennis Chambers and David Mann for his project Midnight. The album was realized and financed by Uwe Buschkötter, a former jazz musician. 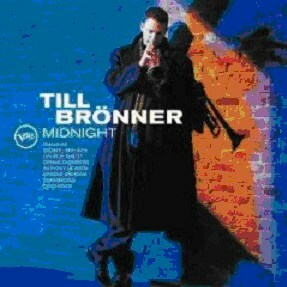 Till Broenner presented a new sound and a funky, American studio style of the nineties, while rooted in the jazz modernism. With own compositions and cover versions of Marvin Gayes What’s Going On and Stevie Wonder Don’t You Worry ‘Bout A Thing, he continued his soulful repertoire of accents. The album was recorded in the Power Station, the current Avatar Studios, one of the first addresses in the city of NY, in several phases between September 1995 and May 1996. Although the album received high acclaim after its release in spring 1997, it was not selling well perhaps caused by a lack of promotion or it wasn’t the right time for that type of contemporary jazz in Germany. Anyway Verve/Universal bought the rights and fortunately re-issued the album this year. A real opportunity to discover this gem of the past. The album starts with Marvin Gaye’s popular song What’s Going On. The song was arranged and produced by keyboardist George Whitty. The excellent musicianship of Michael Brecker, Till Broenner and more creates the fantastic atmosphere of one of the hottest tune of that year and the spell bounding effect isn’t faded away. 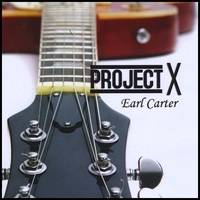 Guitarist Earl Carter is well known in smooth jazz business. He already recorded with Marcus Johnson, Bobby Lyle, Jaared, Alyson Williams, Spike Lee, John Tillery and also performed with Nick Colionne, Bob Baldwin, Mike Phillips, Freddie Jackson, Michael Lington and a lot more. He regularly release solo albums as No Frettin’ (2002), 495 (2005), My Paradise (2007) and this year Project X. After the first listen I was pleasantly surprised about the fresh and unadulterated sound. Earl is escorted by top-notch musicians as Dwayne Kingo Wellman (drums), DeAndre Minor (organ), Eric Marner (sax), Glenn Douglas (clavinet, keyboards), Milton GoGo Mickey Freeman (congas), Glen Arnett (keyboards), Robert Wright (drums), John Ford (bass) and some more. With this great impact you can’t go wrong. It’s the intimate combination of electric guitar and bass with a strong organ line which makes The Village Pt 2 so outstanding. That could be a jam session in a small jazz club and when Eric Marner blows his tenor sax, this impression is complete.